The smartphone market is doing well, according to an IDC (International Data Corporation). 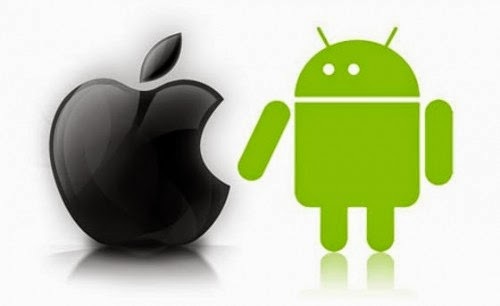 The US company that specializes in conducting market research in technology information and communications, reports an increase of 25.3% of the smartphone market in the world in the second quarter 2014, Android and iOS operating systems appear prominently in the most popular OS. More than 8 out of 10 smartphones using Android, IDC estimated. In the second quarter 2014, 84.7% of smartphones running this OS, while 11.7% use the Apple iOS. With 2.5% market share for Windows Phone and 0.5% for Blackberry OS, Android and iOS take over most of the media. "As expected, Samsung has been the source of most of the Android-based, followed by Huawei, Lenovo and LG devices. For iOS, a decrease of 13% last year at the same time, against 11.7% last quarter. "Despite the launch of the iPhone 5C turned to a wider audience, most iOS devices are inaccessible to the average consumer. IOS users are waiting for the next device, which could certainly help build the third and fourth quarter for iOS, depending on the time at which it is proposed. "